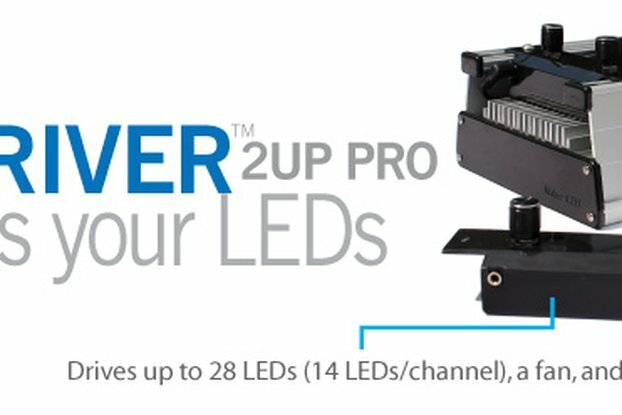 USB controller for all major programmable RGD LED strips with on-board power jack. The AllPixel Mini provides easy USB control of all the major programmable LED strip types. 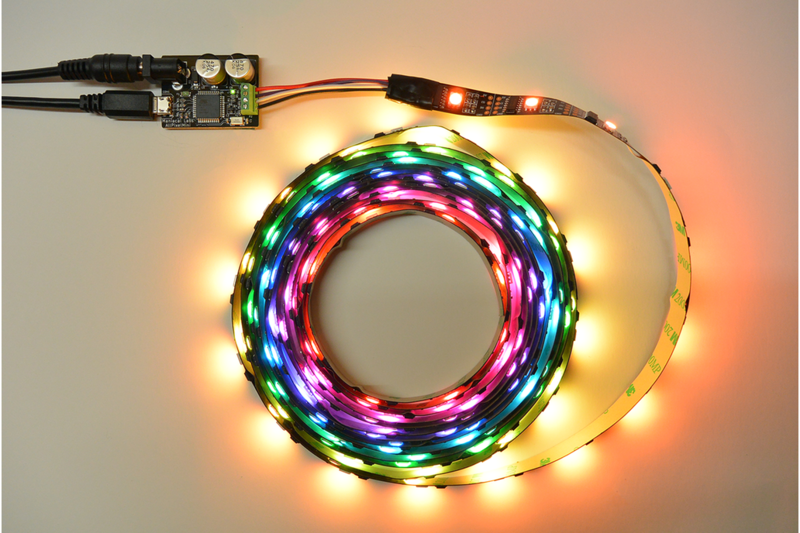 It is compatible with Linux (including the Raspberry Pi), Mac, and Windows platforms, and is capable of driving up to 700 LEDs at high frame rates. Multiple AllPixel Minis can be linked in software to act as one larger display. Our robust, Python-based software library BiblioPixel supports the AllPixel Mini and allows for animation creation and control. Since it's Python-based, interfacing the AllPixel Mini to your existing projects is greatly simplified. Easy to use. No need to worry about chipset protocols, level shifters, or power. Just plug in, connect your LEDs, set the chipset in code and go! Control from nearly anything that has a USB port and supports Python via the BilbioPixel library. Drive more than 700 pixels with multiple AllPixel Minis acting as one (a feature of BiblioPixel). 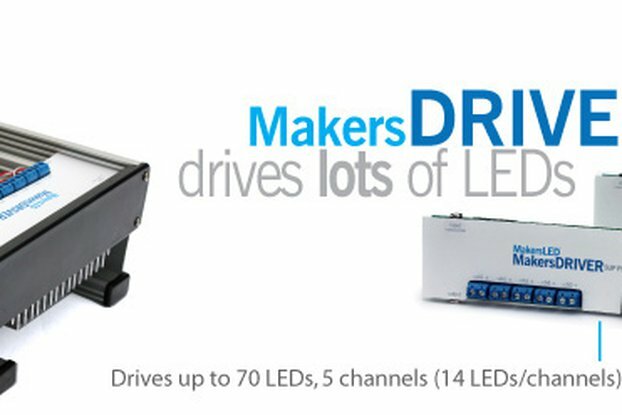 Supports powering 5V or 12V LED types via the on-board DC barrel jack (5A max current). 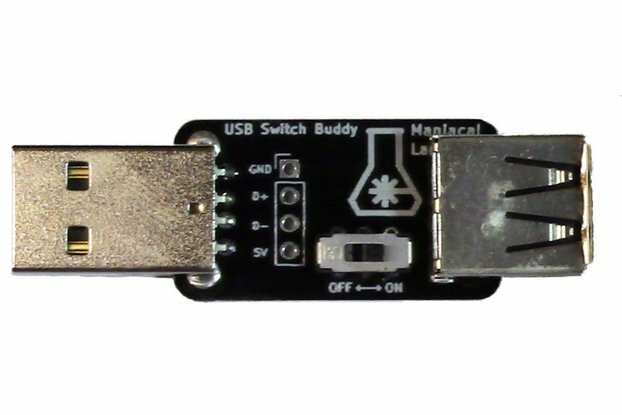 Drive a handful of LEDs directly from USB power by installing the included protection diode. Our Animations Library provides examples and gets you up and running quickly. To get started with your AllPixel, checkout the AllPixel QuickStart Guide. Also, check us out at ManiacalLabs.com or more info, project updates, and other cool stuff! Only tried with 100 LED's, but that works as expected. Could not get it to work with my USB-C port on my macbook using an USB-C to USB adapter. We're always here to help if you need a hand getting it working with your hardware. We've not heard of any issues with USB-C adapters but we of course can't try every possible hardware. If you'd like to dig into it further, please send us a message on the Maniacal Labs User Group (http://forum.maniacallabs.com) and we'll work through the issue with you. The product has no printed documentation, which is unsatisfactory. The online documentation is disjointed & terse. The supporting software, PixelWeb & Bibliopixel, is installed in a non standard way. It should be a dmg/pkg on Mac OSX. Should be a .deb under Debian. Using 'pip' is no good enough. The supporting software, Bibliopixel & Pixelweb, have no printed documentation. No paper users manual. YouTube videos are not good enough. Really. Need paper user manuals. There is no contact email addresses. You are left communicating with them on the forums. The Allpixel is a lot of hype with no substance. I purchased 4 of them & probably won't find a use for them. They will stay in their drawer in my electronic kit cabinet. Will stick with Arduino boards and the Arduino IDE. Bought it for the pixel drive output and simple usb interface. Ignore the python software available for it and craft some C, better off for it. I'm running a Pi 2 connected to the AllPixel board driving a set of 300 WS2812B LEDs to create light patterns to music. 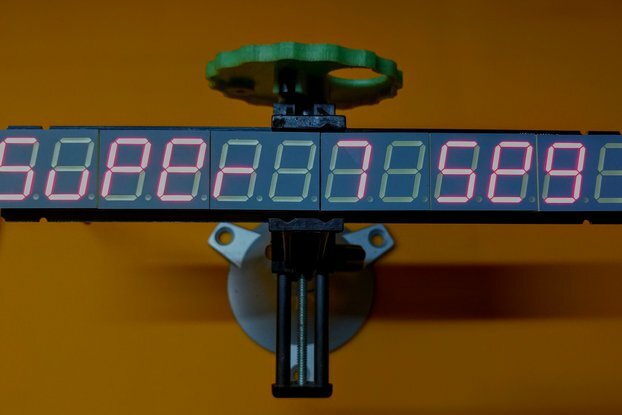 This uses the lightshowpi code with modifications for bibliopixel. Documentation was fairly complete for coding, but other technical questions were found in the forum. Shipping was completed within a week. I had no issues getting it running. I have some basic soldering skills, so that part was not difficult for me, and is not particularly involved. It is possible to drive updates to the board faster than it can handle, at least according to my testing, but it does extremely fast refresh rates. I was so pleased with it that I created a video explaining what I did. Best controller for strip LEDs that I've tried. So far no issues, arrived dead fast, and Adam has been very polite and responsive to my no doubt overly spammy questions. 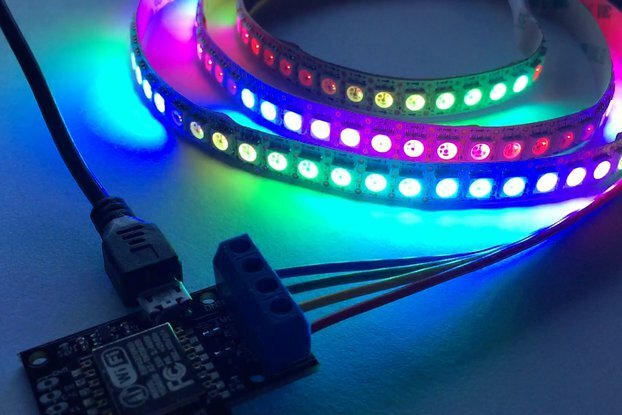 Disclaimer: I knew Adam somewhat from discussing LED strips on the internet before he made these.